Two jewel thieves road trip across the desert to pull the biggest con of their career in this modern-day Wild West heist. 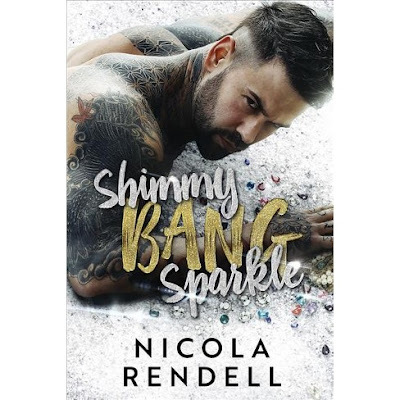 Nick Norton should know better; fresh out of prison this former mechanic turned bartender (with a bit of a gambling problem) should be keeping his head down and his parole officer happy, so of course the first girl to catch his attention, Stella Peretti, is a member of an infamous band of female master jewel thieves. I think this might be my first romance with blue-collar protagonists. These aren't Ocean's-level glitzy thieves. They are a little rough and tumble, each of them scraping by the best they can. Stella and her crew are robin hood thieves with big dreams and empty pockets. They steal for the greater good and don't take much for themselves, which is why they are ready to pull their biggest con yet and walk away from the life. Until an accident leaves Stella running the job solo, with nowhere else to turn she recruits Nick back into the game for ONE LAST JOB. I like that this book had grown-a** characters (heroine is 34, hero is 40), and Rendall provides just the right amount of motivation to make you want to root for the thieves even if the execution is plot dumped. The way this book ends was totally unexpected and I think Rendell set up the perfect amount of conflict. Fans of anti-heroes with hearts of gold and punchy dialogue will enjoy this show-stealing novel. This book was published by Amazon's romance imprint and I'm not sure what they were going for with the cover. It's very generic and doesn't embrace the fun, rough and tumble West Coast vibes this book is putting down. Nicola Rendell, welcome to my auto-buy list!